Karl Gerstner’s work is a milestone in the history of design. 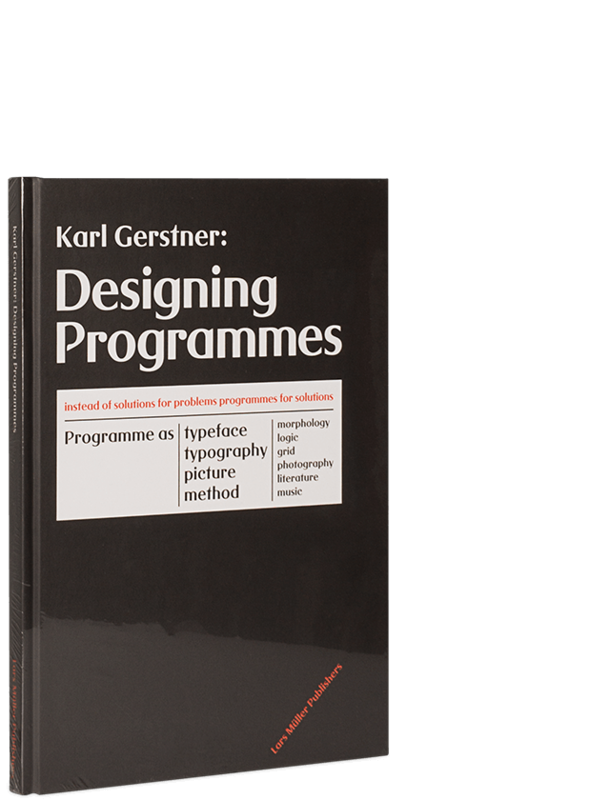 Designing Programmes is one of his most important works: in four essays, the author provides a basic introduction to his design methodology and suggests a model for design in the early days of the computer era. The book is especially topical and exciting in the context of current developments in computational design. With many examples from the worlds of graphic and product design, music, architecture and art, it inspires the reader to seize on the material, develop it further and integrate it into his or her own work.